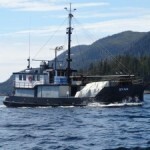 The 80 foot long fishing boat Eyak ran aground and sank off Calligan Island near Sitka, Alaska. The Eyak had run aground during the early morning hours and the vessel requested assistance. A Sitka Mountain Rescue boat along with a Alaska Wildlife vessel responded to the scene. 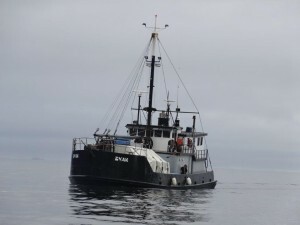 The 4 crew on board the Eyak were safely rescued. The Eyak had capsized and partially sank with just a small portion of the overturn hull visible. Authorities are monitoring the situation for pollution. 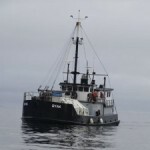 The fishing vessel had 500 gallons of fuel on board when it sank. Local reports state the crew did not have any survival suits on board the Eyak.